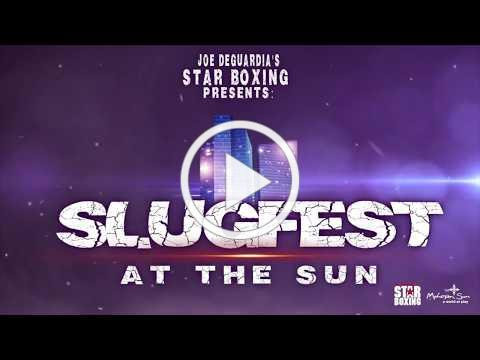 TICKETS TO SLUGFEST at the SUN at MOHEGAN SUN ARENA ARE ON SALE NOW! Tickets for SLUGFEST at the SUN have are available HERE or can be purchased by going to StarBoxing.com or MoheganSun.com. For more information visit www.StarBoxing.com, follow along on Facebook at www.facebook.com/starboxing, follow along on Instagram at @StarBoxing, or on Twitter @StarBoxing.